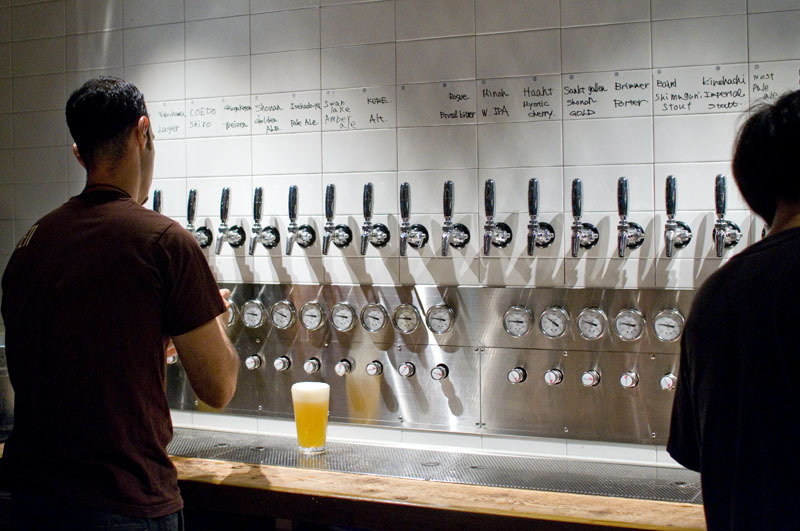 Sixteen craft beers, mostly from Japanese breweries, are served with fancy meat dishes at this meat-focused beer bar. 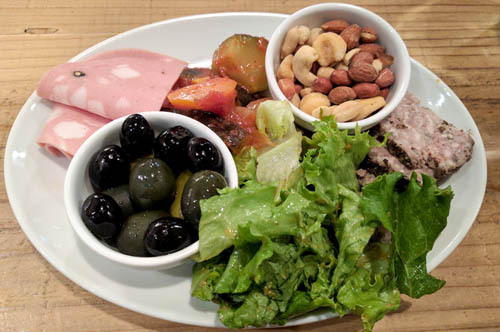 The voluminous grilled pork platter (Y2580) was quite satisfying, but the assorted appetizer plate - with its olives, mixed nuts and tiny portion of cold cuts - was rather uninspired and seemed more like an afterthought. Most meat orders take around forty minutes to arrive. 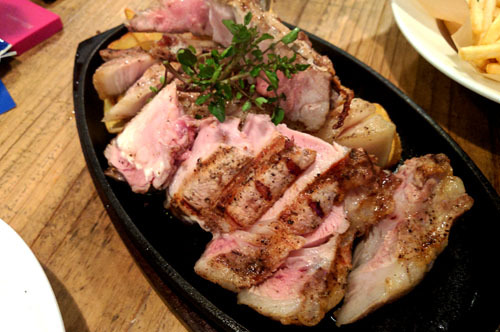 Since it's off in a rather obscure corner of Shibaura, reservations are recommended, as there aren't many alternative spots to go to if they happen to be full. Open late on Friday nights (last order is 1:30am).